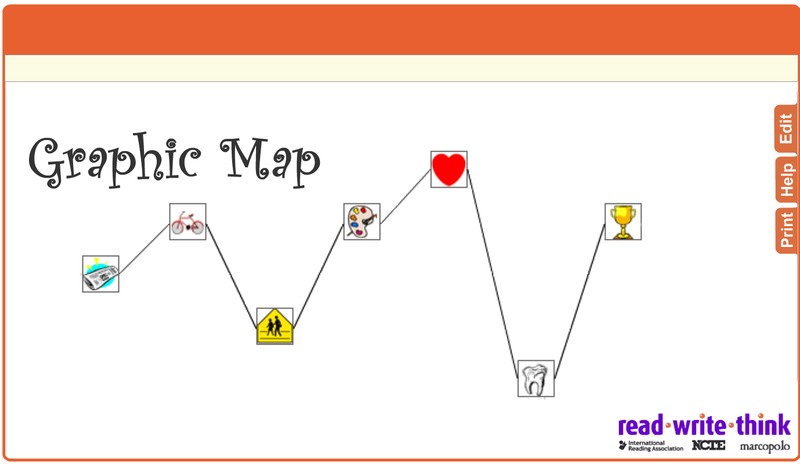 The Graphic Map is a great tool from ReadWriteThink to help students with their writing and reading activities. Using this graphic organizer, students will be able to represent high and low points related to particular items such as: the number of the chapter in a book they have read, the date a particular event happened, the scene in a play students have read or watched, or any other item. Any item selected can be rated using criteria such as : high/medium/low, smileys, or through digits. Students can also write a concise description of the topic and add a picture to illustrate their entries. 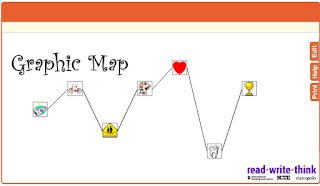 To get started using Graphic Map, students have to type in the title of their graphic map and name of the author. Next, they select one of the items from the list and choose how they want to rate them. The final stage is where they will provide a short description of their item and add an illustrative picture. When done, they can print out their work and share it with others.